Remove the front side door window from the guide. Do not remove the window from the vehicle, raise the window to the fully up position, tape in place. Refer to Rear Side Door Window Replacement. Loosen the window guide nuts. Do not remove the nuts from the guide. Disconnect the door electrical connector. Remove the rear side door window from the guide. Refer to Rear Side Door Window Rear Guide Replacement. Do not remove the window from the vehicle, raise the window to the fully up position, tape in place. Transfer the rear side door window regulator motor. 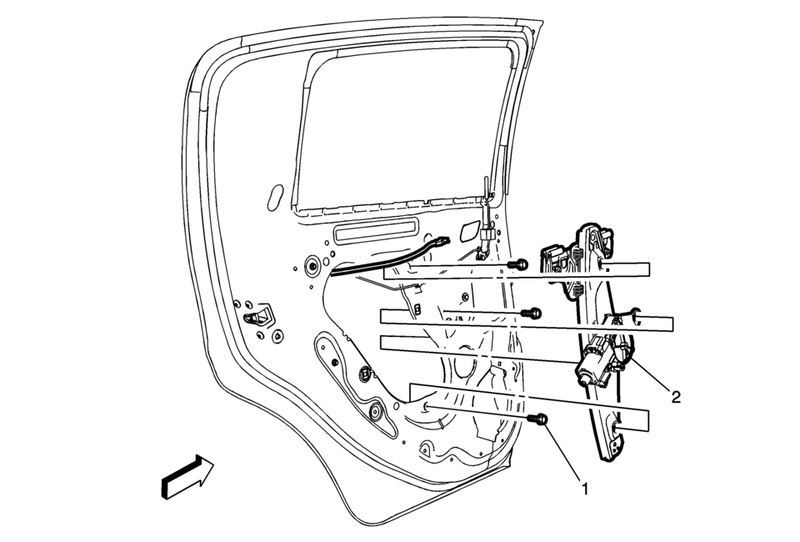 Refer to Rear Side Door Window Regulator Motor Replacement.